When two physiologically diverse blocks share an alley, use the sprayer settings suitable for the larger of the two. It’s more important to ensure good coverage on the big block than to save on the smaller. 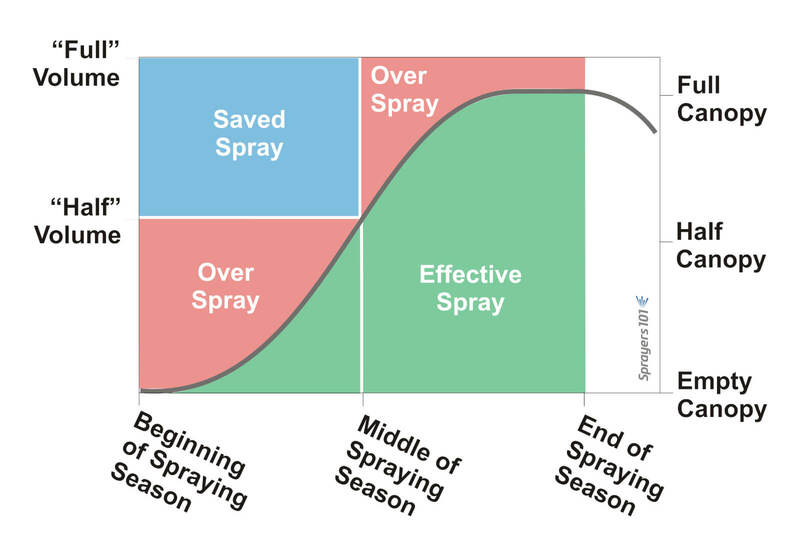 For those crops that grow and fill over a season, consider changing the sprayer output and distribution at some point to ensure the sprayer provides sufficient coverage all season long. 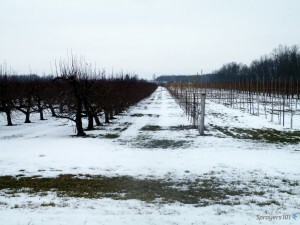 For example, orchardists would use one setting at the beginning of the season, planning for it to last until petal fall. Then, volumes would be raised and or re-distributed to last until the end of the spray season. Petal fall may not be the appropriate physiological cue for all crops, but it’s a good reminder that if changes aren’t needed yet, they soon will be. 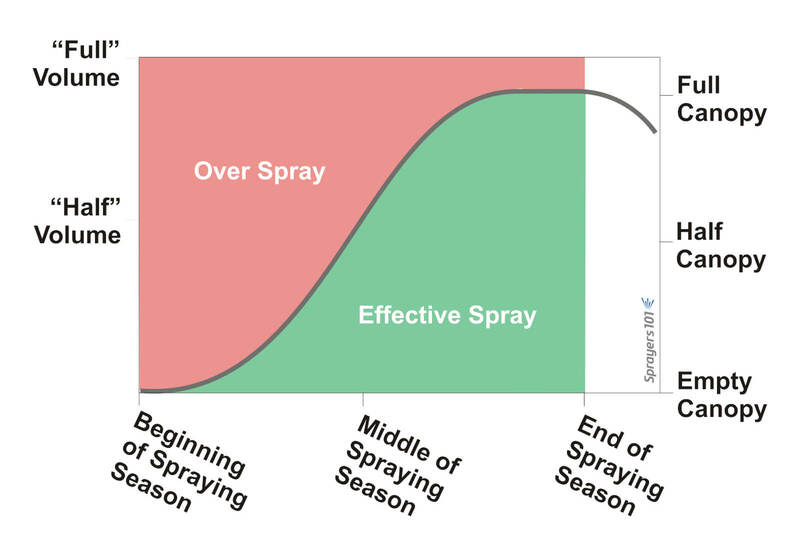 The amount of spray volume needed to provide adequate coverage depends on the size of the plant (in mature plants, consider the cross-sectional area) and the density of the foliage (a function of pruning practices and the time of season as leaves fill in). Taken together, this is the “area-density”. 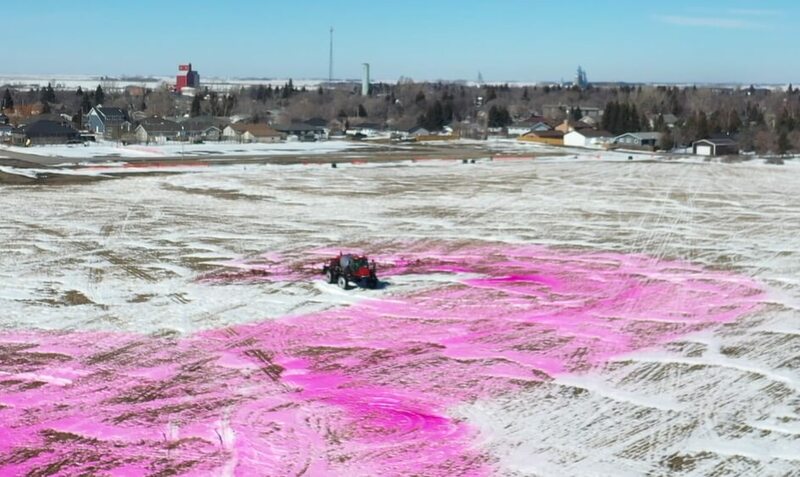 Adjusting sprayer settings to reflect the area-density of a crop can save money and reduce environmental impact during early-season applications and in young plantings. 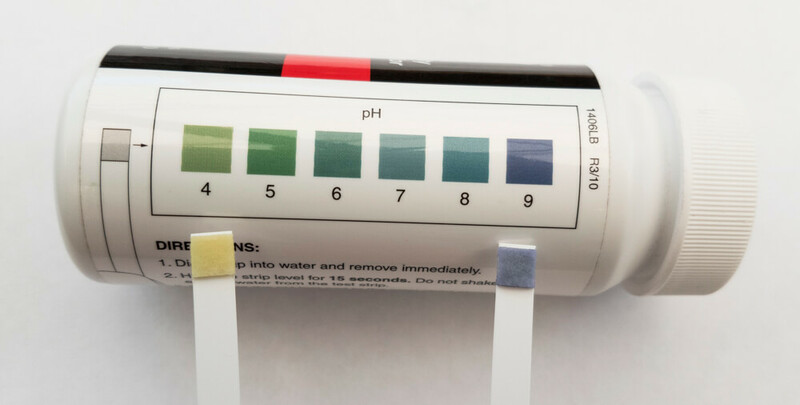 Mix the tank as you normally would to maintain the pesticide concentration on the label, but adjust the sprayer output to match the plant size. 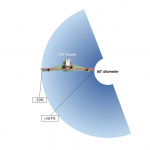 Performed correctly, you will be able to go further on a tank without compromising efficacy. 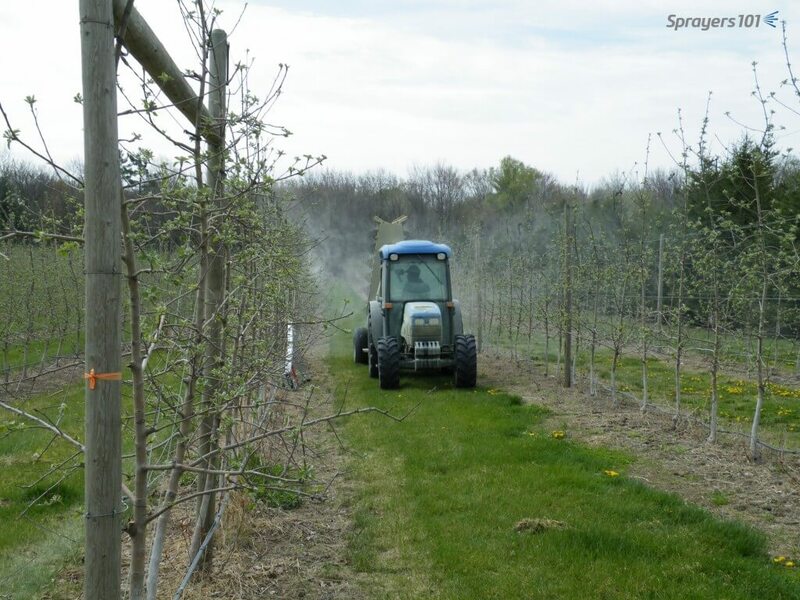 An apple grower adjusted his sprayer output for each block of apples and adjusted how much spray was needed early in the season versus after petal fall. Pest activity, disease and coverage were carefully monitored throughout the season. These leftover boxes of fungicide are how much he saved, and his apples were beautiful. 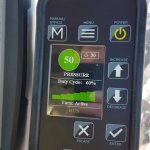 This is only ever possible when the sprayer is properly calibrated and coverage and pest/disease activity is carefully monitored. Never reduce rates indiscriminately – it could compromise efficacy and increase the potential for resistance. 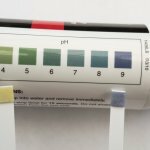 Be aware: Do not do this indiscriminately; always confirm you are achieving acceptable coverage using water-sensitive paper. Graph 1: The line represents the leaf area in a canopy increasing over the growing season. The volume of the spray providing coverage is indicated in green. Spraying the same volume throughout the season means a lot of over-spray (red) early in the season. 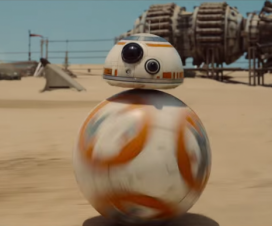 The target simply isn’t there yet. 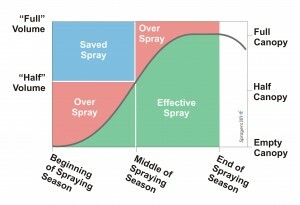 Graph 2: Use one set of nozzles and/or pressure setting to spray less early in the season. 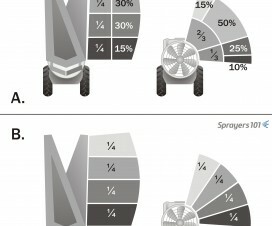 Change sprayer output about midway through the season, or as required by canopy development. This has the potential to save a lot of spray (blue) without compromising spray coverage. Note that the first volume should give sufficient coverage to reach mid-season, and the second volume should be sufficient to reach the end of the spraying season. If you only achieve minimal coverage during adjustments, you may not have enough to provide suitable control later on. 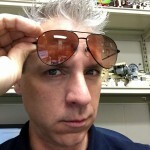 The idea is to eliminate only that portion of the spray that misses or unnecessarily drenches the target. If you drop below the minimally recommended rate-per-area (e.g. the amount of formulated product per hectare or acre), it is considered an off label application, leaving you solely liable. 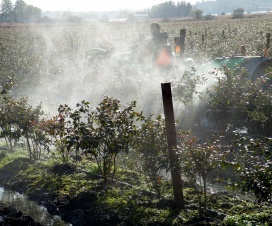 This method forms the basis for the Crop-Adapted Spraying model, which is an advanced technique based on international practices and one we have tested for several years in apple orchards. It is described in greater detail later in another article. Note that the first volume should give sufficient coverage to reach mid-season, and the second volume should be sufficient to reach the end of the spraying season. If you only achieve minimal coverage during adjustments, you may not have enough to provide suitable control later on. Not every crop requires increased volumes over the season. Many nursery crops, such as evergreens, may or may not require changes. 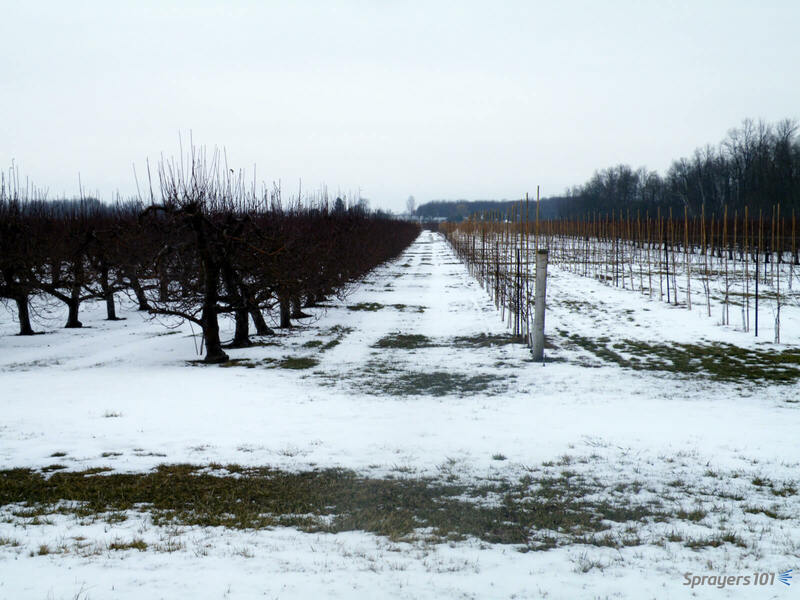 Interestingly, mature high-density orchards may only need one volume: early in the season, the wind moves unimpeded through the orchard, reducing spray coverage. However, as the canopies fill, there is less wind and more spray is available, accounting for the increase in area-density. Convenient! It’s early May in Southern Ontario. This high-density orchard is receiving ~355 liters/ha (~38 gal.ac) for spring protectant fungicide applications. 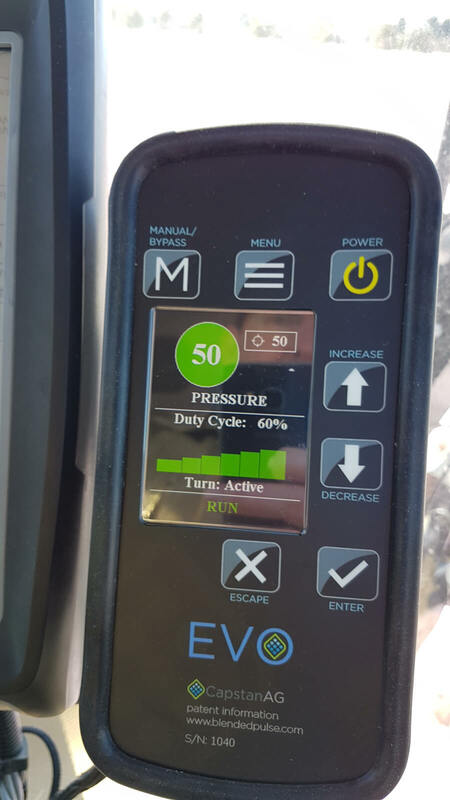 A cross wind is coming from the driver’s right, gusting up to 10 km/h. 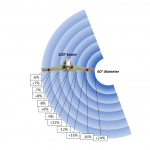 The sprayer fan is in low gear, travelling 6.1 km/h (3.8 mph). 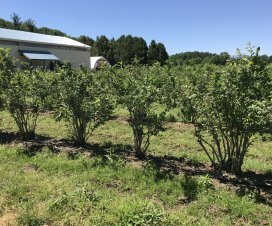 Experience in this orchard over recent years tells us that we do not need to raise the output over the season because as the trees fill in, the cross wind will be less, and more spray will be available for coverage. Early morning application in young cherry. This operator could have saved a lot of spray (and money) by adjusting his sprayer to the crop. Watch at the end when he passes into the shadow of the trees to see the swaths more clearly (2014).